Buy No Parking Signs. 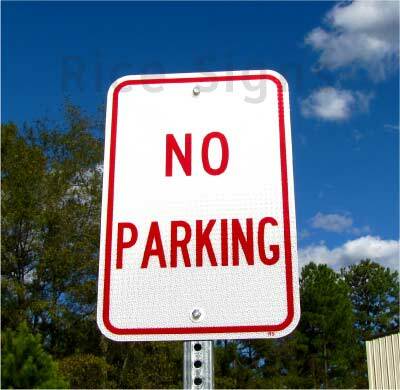 Rice Signs manufactures no parking traffic signs. 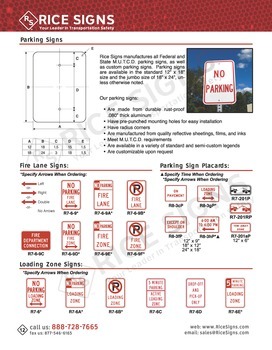 See No Parking Signs in our catalog on page 13. 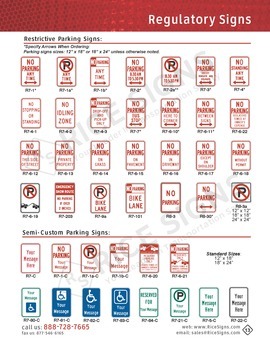 No Parking Signs have a white background color. The text and border are red. No Parking Signs are vertical rectangle shaped. 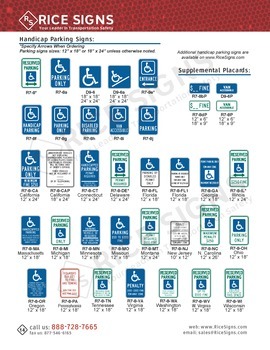 Pictured: A 12"x18" No Parking sign with optional portable post and base.